The first step toward understanding dividend policy is to recognize that the phrase means different things to different people. Therefore, we must start by defining what we mean by it. A firm's decisions about dividends are often intertwined with other financing and investment decisions. Some firms pay low dividends because management is optimistic about the firm's future and wishes to retain earnings for expansion. In this case the dividend is a by-product of the firm's capital budgeting decision. Another firm might finance capital expenditures largely by borrowing. This frees up cash for dividends. In this case the firm's dividend is a by-product of the borrowing decision. We wish to isolate dividend policy from other problems of financial management. The precise question we should ask is: "What is the effect of a change in cash dividends paid, given the firm s capital budgeting and borrowing decisions ?" Of course the cash used to finance a dividend increase has to come from somewhere. If we fix the firm's investment outlays and borrowing, there is only one possible source—an issue of stock. We define dividend policy as the trade-off between retaining earnings on the one hand and paying out cash and issuing shares on the other. One nice feature of economics is that it can accommodate not just two, but three opposing points of view. And so it is with dividend policy. On one side there is a group that believes high dividends increase firm value. On the other side there is a group that believes high dividends bring high taxes and therefore reduce firm value. And in the center there is a middle-of-the-road party that believes dividend policy makes no difference. The middle-of-the-road party was founded in 1961 by Miller and Modigliani (MM)11— the same two who showed that in idealized conditions capital structure also is irrelevant. 11 M. H. Miller and F. Modigliani, "Dividend Policy, Growth and the Valuation of Shares," Journal of Business 34 (October 1961), pp. 411-433.
from. All that has happened is that Pickwick has put an extra $100 million in investors' pockets (the dividend payment) and then taken it out again (the share issue). In other words, Pickwick is simply recycling cash. To suggest that this makes investors better off is like advising the cook to cool the kitchen by leaving the refrigerator door open. After Pickwick pays the additional dividend and replaces the cash by selling new shares, the company value is unchanged. The old shareholders now have an extra $100 million of cash in their pockets, but they have given up a stake in the firm to those investors who buy the newly issued shares. The new stockholders are putting up $100 million and therefore will demand to receive shares worth $100 million. Since the total value of the company is the same, the value of the old stockholders' stake in the company falls by this $100 million. Thus the extra dividend that the old stockholders receive just offsets the loss in the value of the shares that they hold. Does it make any difference to the old stockholders that they receive an extra dividend payment plus an offsetting capital loss? It might if that were the only way they could get their hands on the cash. But as long as there are efficient capital markets, they can raise cash by selling shares. Thus Pickwick's old shareholders can "cash in" either by persuading the management to pay a higher dividend or by selling some of their shares. In either case there will be the same transfer of value from the old to the new stockholders. Because investors do not need dividends to convert their shares to cash, they will not pay higher prices for firms with higher dividend payouts. In other words, dividend policy will have no impact on the value of the firm. 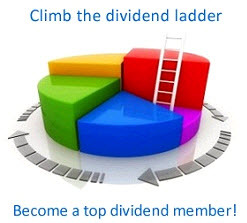 mm dividend- This conclusion is known as the MM dividend-irrelevance proposition. irrelevance The example of the Pickwick Paper Company showed that the firm cannot make proposition Under shareholders better off simply by increasing the proportion of earnings paid out as divideal conditions, the value of idends. But what about the reverse? Can a firm increase its value by reducing the divi-the firm is unaffected by dend payout? dividend policy. In the case of Pickwick, the extra cash paid out as a dividend needed to be replaced by a sale of stock. The same argument works in reverse: If investment and borrowing are held constant, any reduction in dividends must be balanced by a purchase of stock. For example, suppose that Old Curiosity Shops has $100 million surplus cash which it had been proposing to pay out to shareholders as a dividend. If Old Curiosity now decides not to pay this dividend, then the surplus cash can be used only to buy back some of the company's shares. The shareholders miss out on $100 million of dividend payments but they receive $100 million from the sale to the company of part of their shareholdings. Thus MM's dividend-irrelevance proposition holds both for increases in dividends and for reductions. As these examples illustrate, dividend policy is a trade-off between cash dividends and the issue or repurchase of common stock. In a perfect capital market, dividend choice would have no impact on firm value. These examples may seem artificial at first, for we do not observe firms scheduling a stock issue with every dividend payment. But there are many firms that pay dividends and also issue stock from time to time. They could avoid the stock issues by paying lower dividends and retaining more funds in the firm. Many other firms restrict dividends so that they do not have to issue shares. They could instead issue stock occasionally and increase the dividend. Of course our demonstrations of dividend irrelevance have ignored taxes, issue costs, and a variety of other real-world complications. 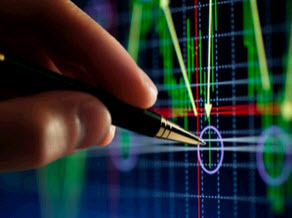 We will turn to these intricacies shortly, but before we do, we note that the crucial assumption in our proof is that the sale or purchase of shares occurs at a fair price. The shares that Pickwick sells to raise $100,000 must actually be worth $100,000; those that Old Curiosity buys for $100,000 must also be worth that figure. In other words, dividend irrelevance assumes efficient capital markets. The president's heart is obviously in the right place. Unfortunately, his head isn't. Let's see why. Consolidated is proposing to pay out an extra $10 million in dividends. It can't do that and earn the same profits in the future, unless it also replaces the lost cash by an issue of shares. The new shareholders who provide this cash will require a return of 10 percent on their investment. So Consolidated will need to pay $1 million a year of dividends to the new shares ($1 million/$10 million - .10, or 10%). This is shown in the last line of Table 16.2. Consolidated Pasta is currently expected to pay a dividend of $10 million in perpetuity. However, the president is proposing to pay a one-time bumper dividend of $20 million in Year 1. To replace the lost cash, the firm will need to issue more shares and the dividends that will need to be diverted to the new shareholders will exactly offset the effect of the higher dividend in Year 1. Note: New shareholders are putting up $10 million of cash at the end of Year 1. Since they require a return of 10 percent, the total dividends paid to the new shares (starting in Year 2) must be 10 percent of $10 million, or $1 million. v self-test 16.3 Suppose that Consolidated Pasta had issued $10 million in preferred stock rather than common stock to pay the extra dividend. What would be the stock price? Many stockholders and businesspeople find it difficult to accept the suggestion that dividend policy is irrelevant. When faced with MM's argument, they often reply that dividends are cash in hand while capital gains are at best in the bush. It may be true, they say, that the recipient of an extra cash dividend forgoes an equal capital gain, but if the dividend is safe and the capital gain is risky, isn't the stockholder ahead? It's correct that dividends are more predictable than capital gains. 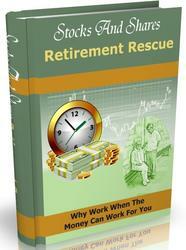 Managers can stabilize dividends but they cannot control stock price. From this it seems a small step to conclude that increased dividends make the firm less risky.13 But the important point is, once again, that as long as investment policy and borrowing are held constant, a firm's overall cash flows are the same regardless of payout policy. The risks borne by all the firm's stockholders are likewise fixed by its investment and borrowing policies and unaffected by dividend policy. If we really believed that existing stockholders are better off by trading a risky asset for cash, then we would also have to argue that the new stockholders—those who trade cash for the newly issued shares—are worse off. But this doesn't make sense: the new stockholders are bearing risk, but they are getting paid for it. They are willing to buy because the new shares are priced to offer an expected return adequate to compensate for the risk. 12 Notice that at the end of Year 1, when the new shareholders purchase their shares, the dividend per share they can look forward to receiving will be $9; since this dividend is expected to be a perpetuity, the share price at that time will be $9/.10 = $90. So the new shareholders will receive $10,000,000/$90 = 111,111 shares. Consistent with Table 16.2, the new shareholders therefore will receive total dividend payments of 111,111 x $9 = $1 million and the old shareholders will receive total dividend payments of 1 million x $9 = $9 million. Notice also that after the extra $10 million dividend is paid in Year 1, the share price falls to $90, and the value of the shares held by the original shareholders falls by exactly $10 million to $90 million. 13 In that case one might also argue that interest payments are even more predictable, so that a company's risk would be reduced by increasing the proportion of profits paid out as interest. How would you respond to that suggestion? MM's argument for the irrelevance of dividend policy does not assume a world of certainty; it assumes an efficient capital market. Market efficiency means that the transfers of ownership created by shifts in dividend policy are carried out on fair terms. And since the overall value of (old and new) stockholders' equity is unaffected, nobody gains or loses.